A pretty new entrant in the smartphone world, most people might wonder, do we need another smartphone company? Realme’s founder thinks different. 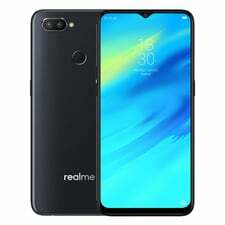 Sky Li, who founded Realme wanted to create a smartphone that is top in performance as well as design. Sky Li, a former vice president at Oppo, branched out on his own to create Realme. Realme was initially a sub-brand of Oppo that was created in 2010 and it has taken over 8 years for Sky Li’s vision to come true. Started on National Youth Day of China on May 4th 2018, Sky Li started Realme with young smartphone enthusiasts from around the world who would provide inputs about their home countries and help them build a community. Realme’s first target country was India because of its high youth population and also potential. Their marketing strategy of involving youth has worked really well with a lot of young Indians warming up to the brand. Their foray into South East Asia will start off with Indonesia. About their phones : In about 7 months time, Real Me has done the unprecedented by releasing 4 smartphone models. 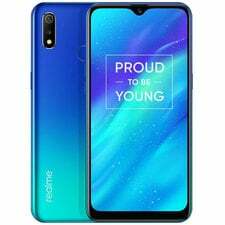 Their first smartphone was the Realme 1 was launched in India to much fanfare because of its specs and pricing. The 6 inch device with a 13MP primary camera and a 8MP front camera has a 3410 mAh battery. It came with 3 different RAM options, with the highest being a 6GB RAM with 128GB in Internal storage. Even the most feature rich version cost only about $205 and this led to them selling 400,000 units within the first 30 days of the phone’s launch. Post that success, Realme continues to make big leaps and strides and have released their latest flagship the Realme C1 which boasts of a 6.2 inch display, 4230 mAh battery, dual cameras, AI facial unlock and Qualcomm Snapdragon 450. Realme is here to stay thanks to its power packed devices that have the looks to kill and prices to die for.